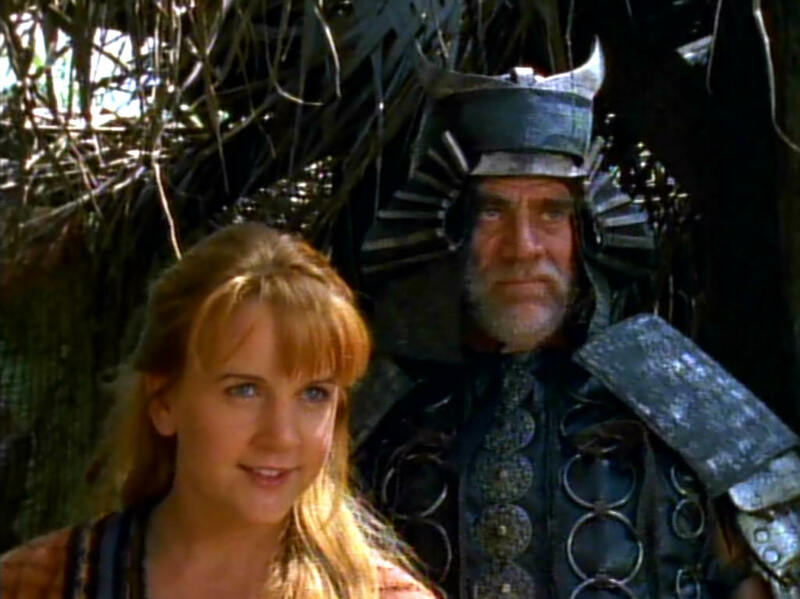 THE XENA SCROLLS: An Opinionated Episode Guide (117 & 118) | THAT'S ENTERTAINMENT! Gabrielle returns to her home town, only to find it under attack by a greedy warlord, and under the protection of a faded warrior, who’s lost his self-confidence. This is far from being the first season’s most entertaining episode, but it is, like “Athens City Academy Of The Performing Bards,” a necessary and vital installment. 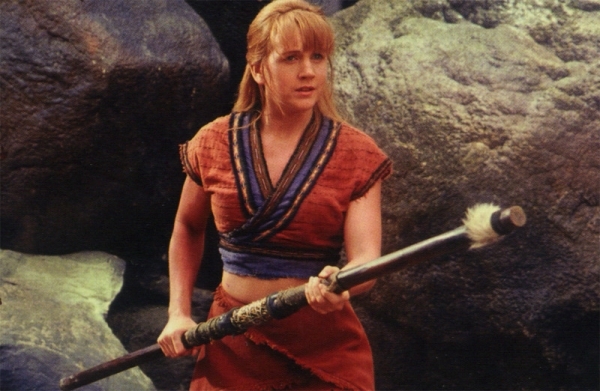 Giving Lawless some time off to do press in America, this episode is centered around Gabrielle, who freezes during a fight, decides that perhaps a life of adventure isn’t for her, and returns home to Potadeia! This is a superb premise that had to come sooner or later. 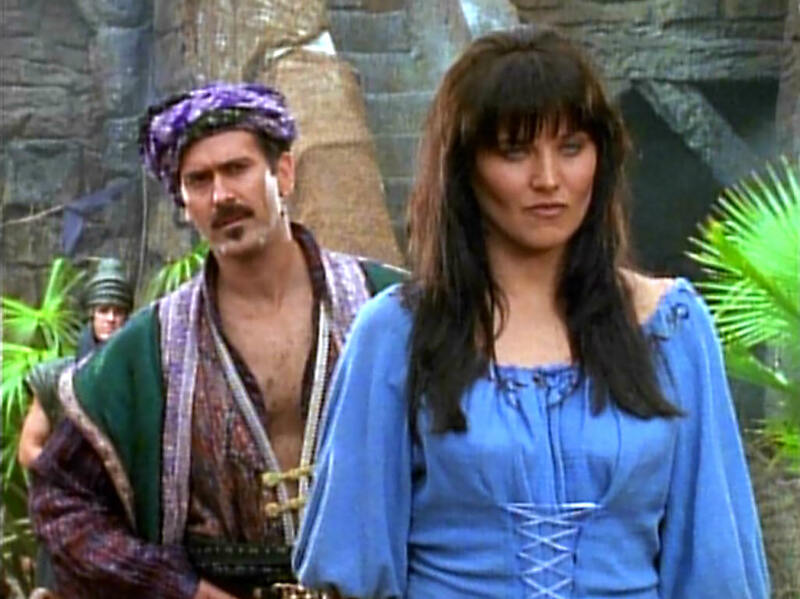 Surely, Gabrielle’s decision to travel with Xena, though an easy choice at first, would later spur some doubt. Gab is a simple farm girl, after all. So, beyond my enjoyment in watching the installment, I appreciate its existence and the story it has chosen to tell. Of course, Gab goes home and finds an adventure there too — I mean, it is an action show. 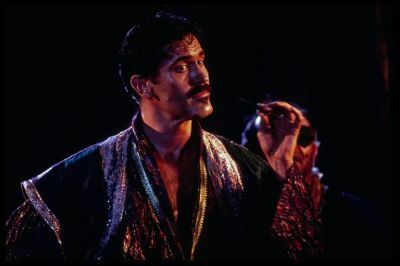 Only the adventure seems a more comedic one, involving Meleager the Mighty, a drunken former hero whom the town has hired for defense against an evil warlord. 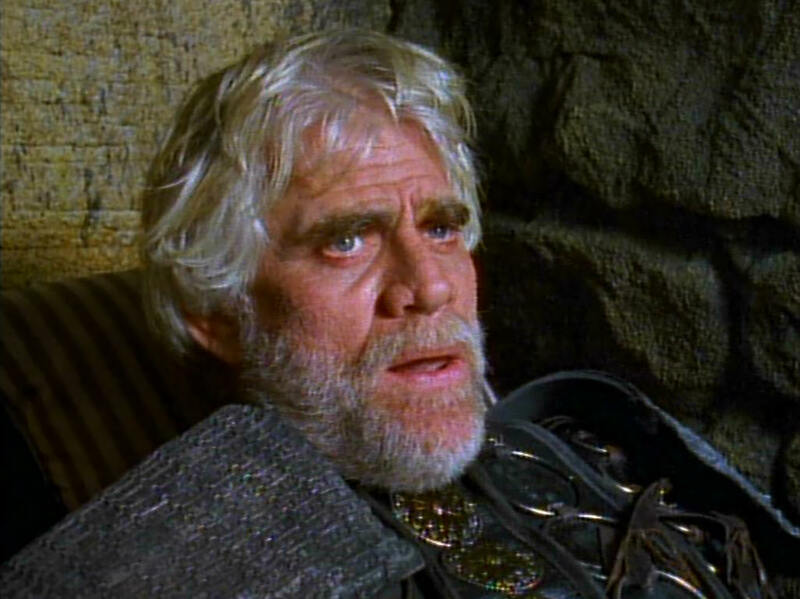 Thomerson is very engaging and believable as Meleager, and he shares good chemistry with O’Connor. There are some laughs along the way, but, by and large, each beat of the story is rather predictable. 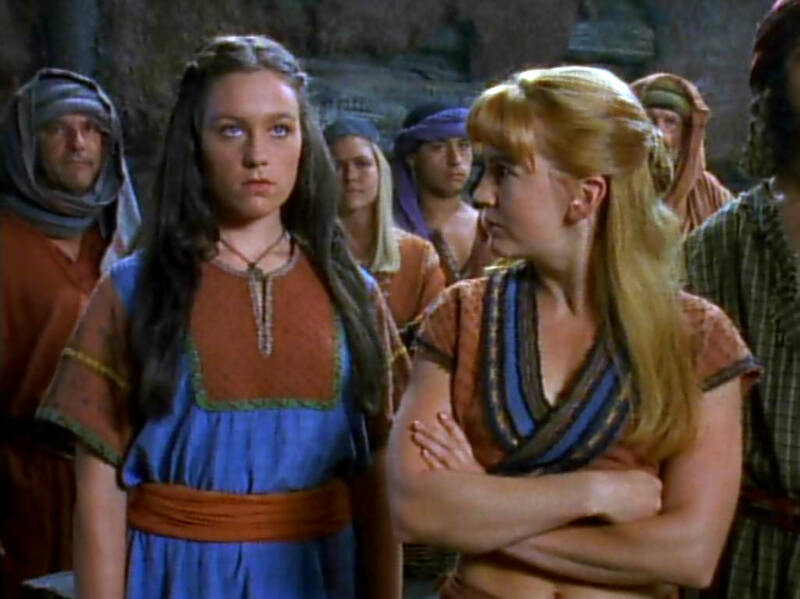 Most interesting to me is the relationship between Gabrielle and her sister Lila, who is jealous of Xena and resentful of Gabrielle for leaving. (Hey, I would be too!) There’s a realism that shades the episode and makes the story of Gabrielle’s return home more honest. This is the first episode written by Chris Manheim, who would go on to become a producer and one of the show’s most prolific writers. She got saddled with a lighter (and mildly dull) episode, but she pulls it off well. 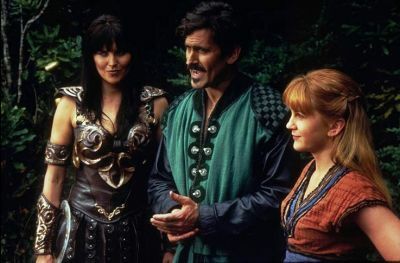 Naturally, Gabrielle decides (again), after having helped Meleager save the village, that she wants to be out living adventures with Xena. 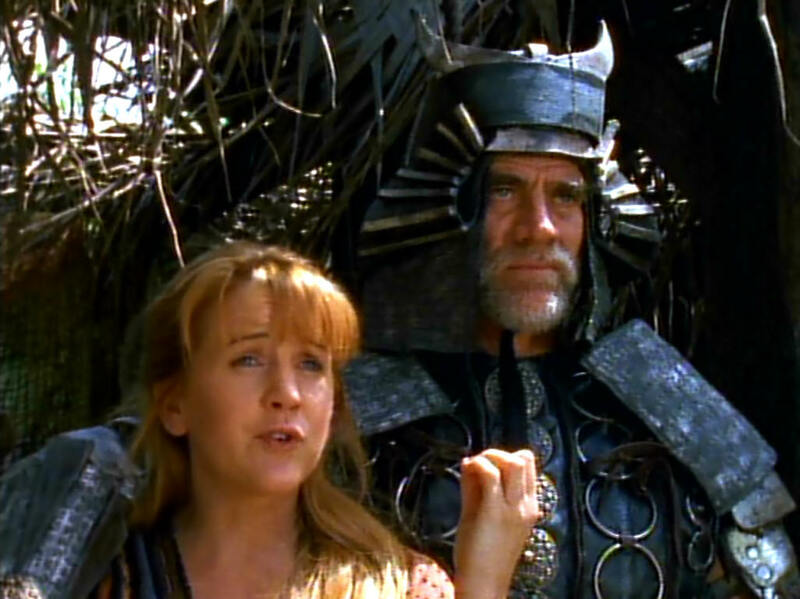 It’s certainly routine, but again, an essential episode for the series and for the Gabrielle character. Here are scans of an interview that writer Chris Manheim gave on “The Prodigal” for The Chakram Newsletter: #23. 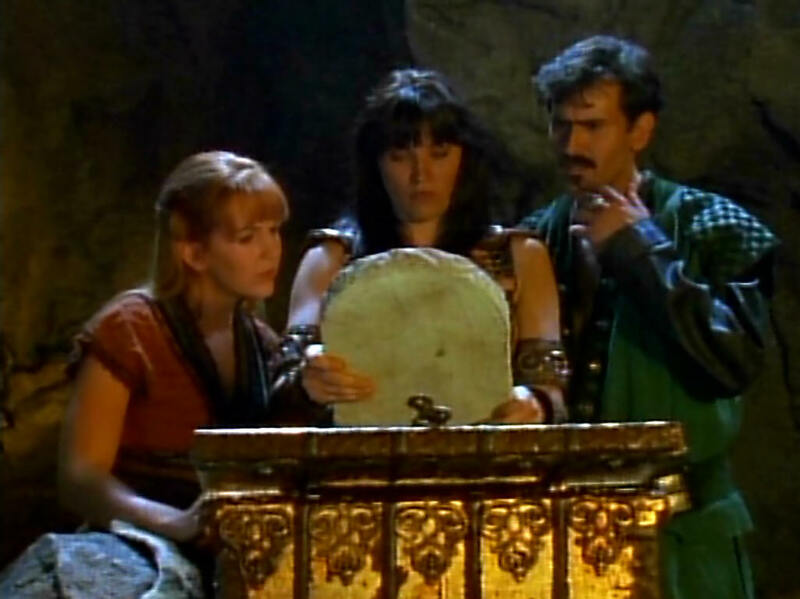 Come back next Thursday for two more Xena episodes! And tune in tomorrow for another Myrna Loy film!